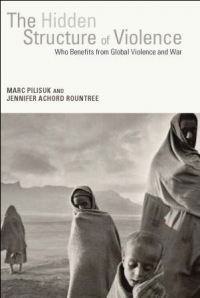 A book launch with Professor Marc Pilisuk, PhD and a panel discussion on Ending War and Poverty. Co-sponsored by the Democratic World Federalists and Saybrook University, please join us Monday September 21st from 6:00-8:00 pm for an exciting evening of community, networking, the launch of Marc Pilisuk’s book, The Hidden Structure of Violence, and a panel discussion on topics of transforming violence, and ending war and poverty. (September 21st is also International World Peace Day). In response to Dr. Pilisuk’s talk, a panel representing distinguished peace innovators will be on hand to comment and address the question: how do we end the scourge of war and poverty?